From what I have noticed, when people have the idea of making their cupcakes look like animals, in my opinion , it never really looks like what they envisioned. 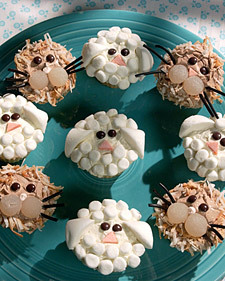 Now, these cupcakes actually look like lions and lambs...fabulous !!! !